g2 Energy have extensive in-house design capabilities within the electrical distribution, transmission and generation sector, working on projects up to 132kV, with further services available for higher voltages. g2 Energy have been assessed and audited by Lloyds for NERS as an Independent Connection Provider (ICP) with full design and construction accreditations up to 132kV. As one of the first ICP’s to gain 132kV accreditation, the experience of undertaking Contestable design works throughout the UK has enabled g2 Energy to build up far reaching knowledge, and offer flexibility to the differing Distribution Network Operator (DNO) requirements and specifications. The success in this area has been achieved through embracing new technologies, and honing the design processes to develop efficient working methods without compromising quality. 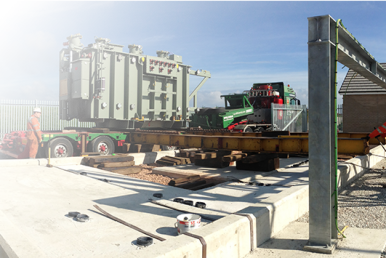 Our design capabilities have been further enhanced with our in-house CDEGS Earthing design team and the specialist System Studies team, along with full civil and structural design for primary/grid substation design works. Experience with all ground reinforcement/piling methods, roads, drainage etc. Our highly experienced Projects team are able to offer full Civil and Electrical technical support, as well as Operations and Maintenance agreements following the completion of construction. In-house Senior Authorised Persons (SAPs) and Power Engineers complete all installation, testing and commissioning of the electrical infrastructure, including providing the client with full Project Management and support throughout the project. The majority of g2 Energy’s staff were formally employed by various regional DNOs, and as such come with a wealth of experience and knowledge on how the distribution networks are operated and managed. This allows us to consider all available connection options, challenging the network owners and ensuring that the least cost option is always offered to clients.